Category: Bulk Herbs & Mushrooms, Wild Herbal Tea. Tags: chamerium angustifolium, fireweed, fireweed & mint tea, loose tea, mentha arvensis, northwest territories, wild herb, wild mint, wild tea. Shade dried for optimal freshness! 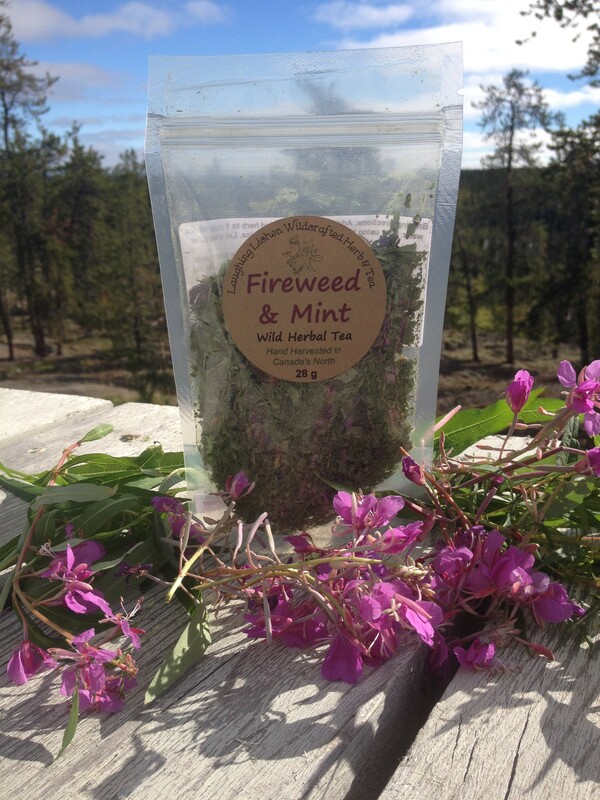 Ingredients: Wild fireweed leaf and blossom (Chamerium angustifolium), wild field mint (Mentha arvensis). Best ‘mint’ tea my wife and I have ever had! We received the tea as a gift from a friend in the NWT. Can’t wait to try the others. Excellent tea as a “digestif” following a heavy dinner or if you or one of your family suffers stomach upset. Care with harvesting quality fresh plants ensures bright flavors. Now a staple in my tea cupboard.